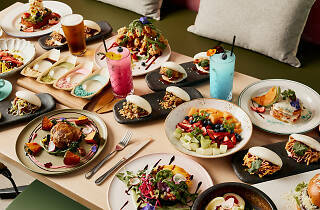 Prahran restaurant Grand Lafayette serves up a menu that fuses the flavours of the east and west with Asian-inspired brunch dishes and Japanese dishes for dinner. The best part? The restaurant hosts all-you-can-eat dinners six days a week for just $33. You can fill up on a limitless supply of agedashi tofu, chicken katsu, salmon tataki, yuzu kingfish, miso grilled salmon, Angus steak, gua baos and heaps more. You can also tuck into bottomless plates of Grand Lafayette’s signature ‘Freakshii’, AKA freaky sushi rolls, which include tempura cooked tuna maki, soft shell crab maki and vegetarian maki which don't just sound delicious, but are also pretty nice too look at as well. Grand Lafayette has your lunch covered, too. From Monday to Friday, you can enjoy up to six baos during lunchtime for just $15. Braised pork belly, confit pork, fried chicken, beef teriyaki and crispy eggplant are the options of baos they have available. 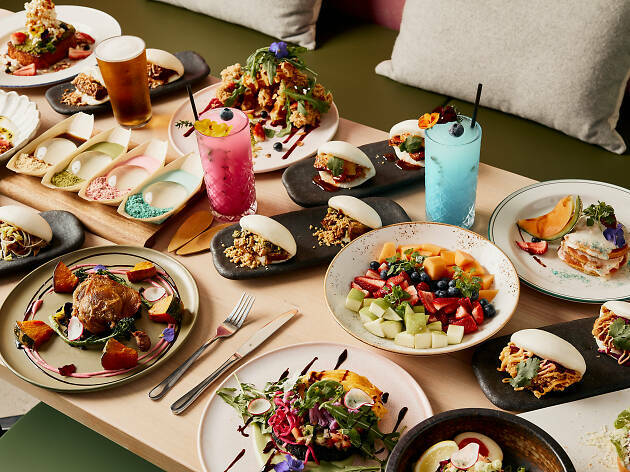 Along with the solid food offerings, Grand Lafayette has an all-you-can-drink offer which lets punters order freak shakes, monster drinks, coffee and other barista specialties for $19 per person. The team behind Grand Lafayette is the same as Port Melbourne’s now-closed Café Lafayette. The restaurant's two distinct services cater to both the brunch and coffee crowd during the day and double down with Japanese dishes at night. You can reserve a table at the restaurant here. Hungry? Here are 11 of the best all-you-can-eat restaurants in Melbourne.